Remodeling your home can be very exciting; however, many people get so wrapped up in the stress that the excitement gets lost. 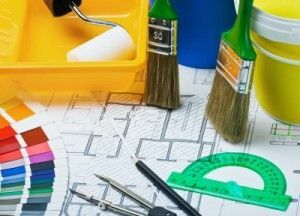 There are so many things to consider when remodeling your home and often you don’t even know where to begin. Here, check out 5 steps to a successful and stress-less Phoenix home remodeling. Set your budget. One of the biggest factors in remodeling a home is the financial aspect. It determines everything and gives you a good base to start from. Make sure you have a little extra cushion just in case the unexpected arises. Get quotes.It is important to get at least three different quotes to ensure that you are getting the best bang for your buck and to ensure that you are not being overcharged. The more quotes the better. Choose your contractor. You want to make sure that the company you choose will help you stay within your budget and provide you top-of-the-line products and services. You also want to choose a contactor who specializes in Phoenix home remodeling and will guarantee all of the work. Make sure you are aware of all charges at the time you sign the final quote/contract. Choose a starting point.Pick out any area of your home that you want to start in. Maybe you want to start upstairs and work your way down or downstairs and work your way up. Or maybe the kitchen is the most important area and you want to complete that first. Regardless, make sure you always have at least one bathroom and one bedroom available. Be flexible and stay comfortable. Many different things can come up while doing a Phoenix home remodeling. There may be a long wait on the tiles you want or your ideal carpet choice is more than you were expecting to spend. When these things come up you just have to take deep breath and move forward. Your contractor should not pressure you and you should always be 100% comfortable with the choices you make regarding your home. At Republic West Remodeling, we are with you every step of the way. We guarantee all of our work and only use the best products. We have finished over 15,000 Phoenix home remodeling projects and most of our work comes from previous clients or referred customers. All of our team members aim to take the stress out and bring the excitement back into home remodeling project.